Want to hire an illustrator, cartoonist or some other creative professional? Here’s what you need before you embark on your quest. Whether you don’t know where to begin or you’re drowning in the number of tasks you’ve started, any author learning to market their books can feel confused. As authors, can advertise to sell books now or we can market to build an author platform. Let’s look at the differences between these two approaches. 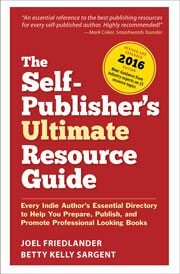 The prevailing message in the publishing industry today is that if you want to be an author and either get published or sell books, you need a platform. Every self-published author out there has a powerful, results-driven, hard-working, marketing “staff” at their fingertips. You’ve finished writing a novel and you’re anxious to get it published. But, did you know you can refine your manuscript before it goes to your editor?